Wonderfully rootsy swagger of earthy, organic folk-rock set to a loose Stones like honky tonk rumble. Set against a backdrop of rolling, countrified rock, Winter In Kentucky is peerless narrative songwriting. A story of bone-weary resignation written from the perspective of a meth addict on a reality show after his girlfriend left him for rehab. Possesses a rhythmic simplicity that transports the listener off somewhere else, and throughout Emil Friis effortlessly orchestrates all this with his lyrics resonating long after the song ends, which is usually when we stick it on again. Just a fantastic record full of little twists and turns with an occasional (friendly) cuff round the ear to keep your attention. Much like Airborne Toxic Event before them, We Are Augustines flamed brightest with one exceptional debut album. Juarez comes from it, a beautiful slow burner and impassioned confessional that somehow finds redemption in an epic climax. Perfect blend of sweet Americana, country twang and oddball pop, dashed through with a touch of their hometown Philly soul. Ah, the echo laden MBV influenced guitar, the pummelling drums, the droning organ, the quiet / loud / quiet structure. Just glorious noise-pop. A simple vocal round to start, some trebly guitar and confident percussion, but it is those voices, and those harmonies, that blows White Winter Hymnal wide open. If a song could musically define menace this would be it. Set to an ominous, tribal rhythm, it thrums throughout with quivering, barely surpressed fury and threat. With vocals that start I’m gonna show you if it takes all night / We’re staying here till you get it right / It’s been three whole days with no end in sight. Things don’t get any better either. They have many imitators, but none can ‘do’ the National like the National. Typically hypnotic offering, and with a voice as deep as the night, Matt Berninger’s unmistakeable baritone cuts through this lament, with the drums bringing up the rear. Sad, atmospheric and uplifting at the same time. Check out numbers 200-181, 180-161, 160-141, 140-121, 120-101, 100-91, 90-81, 80-71, 70-61, 60-51, 50-41, 40-31 and 30-21. To follow on from our Best of the Month post yesterday, we’re kicking off July proper with a quick collection of excellent new tunes for you to stream. They come from the likes of metallic punk rockers Holograms, classic indie janglers Veronica Falls, sludgy metallers Torche, garage punks Wet Spots, the always top-notch Richard Buckner, brash garage snarl from TRAAMS, unique singer-songwriter Joseph Childress, and psych-blues rockers Heavy Times. 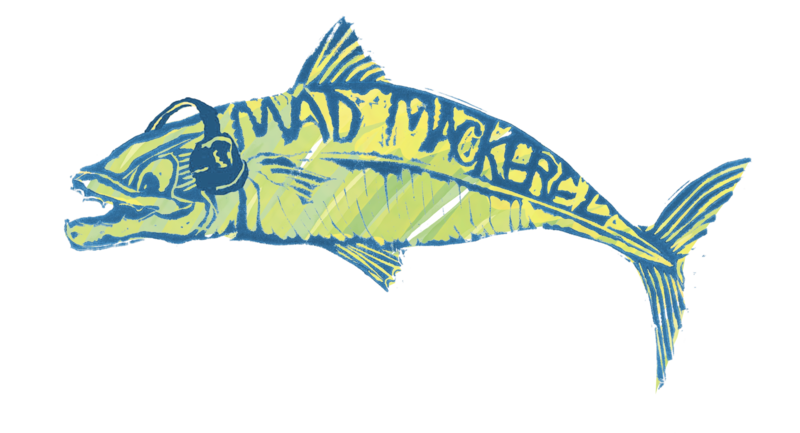 And so the moment to reveal Mad Mackerel’s final favourites of 2012. Here are numbers 20 down to top spot. Dig in and enjoy. So there we have it – 100 great tunes to soundtrack another brilliant year of music.Don’t forget to check all the other chosen tunes that we’ve posted all week too – just click for 100 – 81, 80 – 61, 60 – 41, and 40 – 21. Extra special thanks to the MM contributors this year: Mrs Mackerel (Mrs M), Christy Popper (CP), Barry-Sean (BSF), Polly Pocket (PP), Dr Roddy (DR), Starbie (SB), Middle Sprat (MS) and Toy Steve (TS). Starting tomorrow, you can check their individual choices on MM too.